Astronomy is the poster child for big science. The observable universe is growing beyond comprehension. Gigantic instruments are needed to see most of it. Amateur telescopes are much smaller, but the advantages of increased aperture for seeing detail in faint fuzzies are a hard facts of physics. For amateurs, advice to buy the largest aperture that you can afford and aperture fever, are entrenched wisdom in the hobby. However, there are good reasons to do the opposite. If you have a dedicated observatory, the weight of equipment isn't a problem. 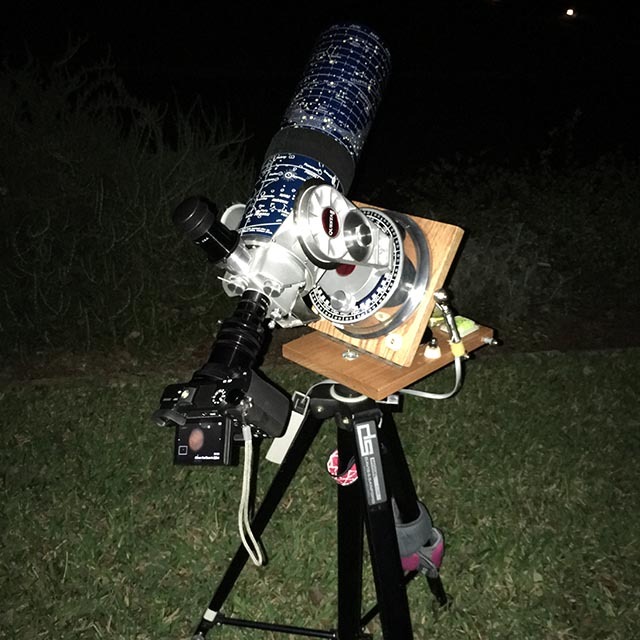 If you don't have your own, remote observatories are becoming more accessible to amateurs. Observatories with publicly accessible data like the LSST, which will generate a high resolution near-live movie of the night sky, will capture more data than all the astronomers in the world will ever be able to see. In spite of these resources, observing with your own equipment under a dark sky is wonderful fun for many. Unless you use a dedicated observatory, your equipment must be moved to an observing site and set up for each observation. Size and weight matter when you must carry and set up your own equipment. Optical physics dictate that resolution of a telescope increases with the aperture of a telescope and light gathering with the square of the aperture. Let's consider the physics of the mass of the telescope itself. Increasing the size of a physical object, increases its weight by between the square (e.g., hollow sphere) and the cube (e.g., solid sphere) of the dimension. Let's see how this applies to a telescope that might be used for astrophotography. The table below lists some typical weights for telescopes with camera, mount, and tripod by aperture. Our sample shows that the expected weight of a telescope will vary roughly as the square of its aperture. Exact weights vary by type, e.g., refractors are heavier and Newtonians a bit lighter, but increasing aperture always costs significantly in weight. 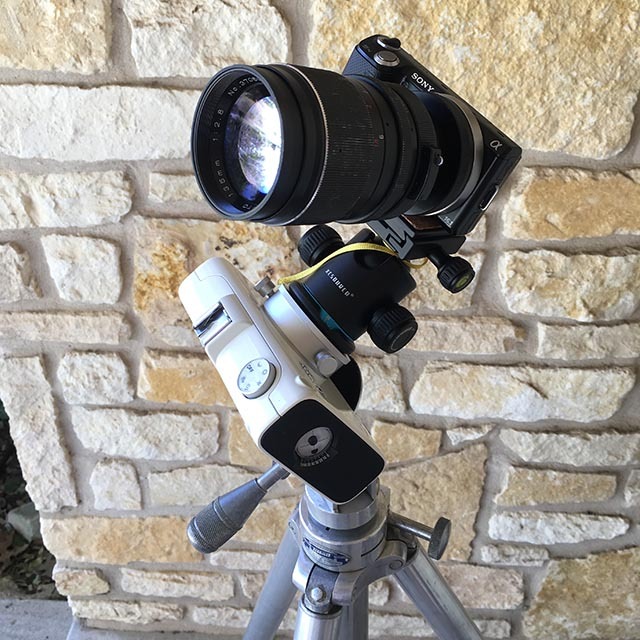 Mounts and tripods, especially for astrophotography, must be heavier to give steady support to a heavier telescope. Many astronomers have also observed that the heavier and the more complicated the setup for a telescope, the less often it is used. My experience is that the frequency with which a telescope will be used is inversely proportional to its weight. Put together with the square law growth in weight - we expect, other things being equal, use of a portable telescope will decrease with the square of its aperture. I call this the inverse square law of observing frequency. 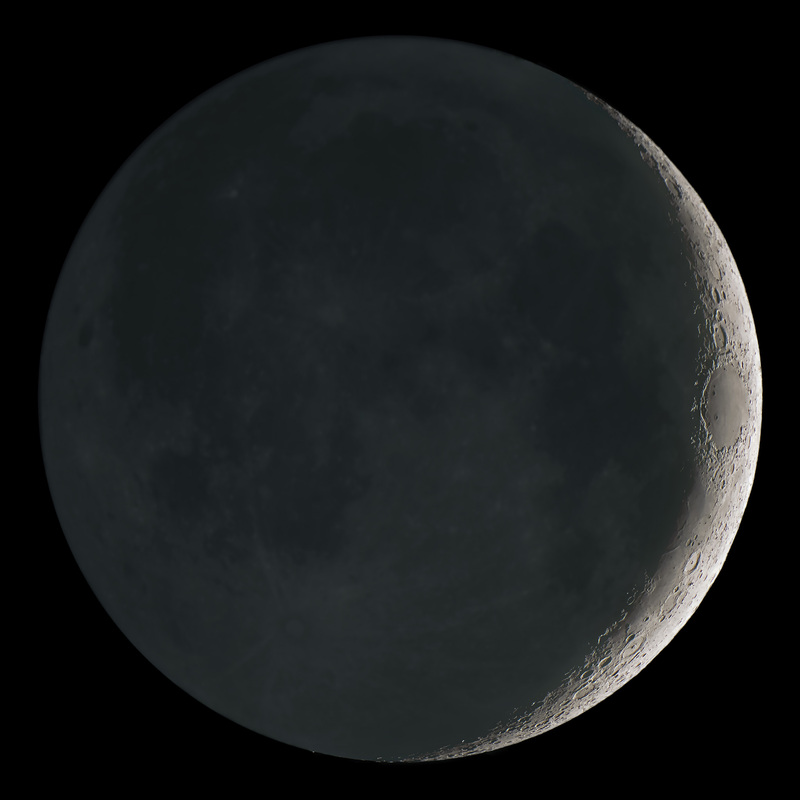 Visual observers may need a large telescope to see a dim object. Resolution is often limited by atmospheric seeing and not aperture. 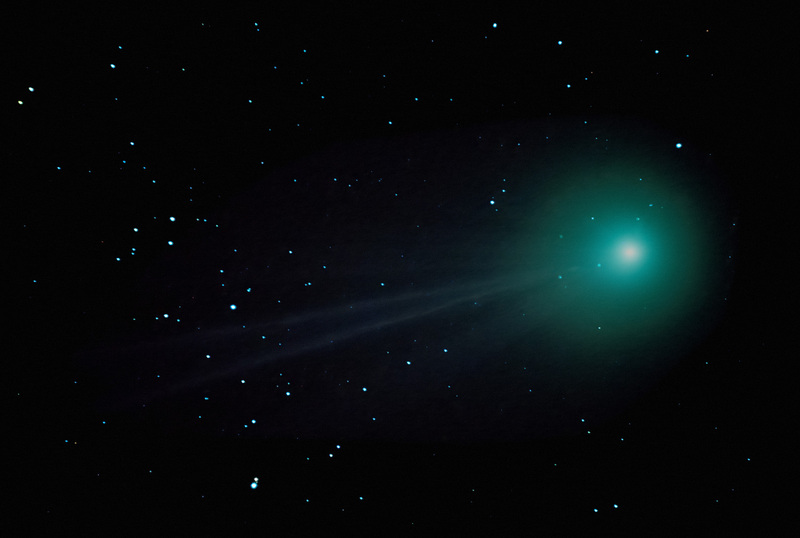 Smaller telescopes can give sharper images under these conditions. Interest in targets vary. Solar system targets are much brighter than deep sky objects. Tradeoffs between brightness, resolution, and field of view lead observers to choose different kinds and sizes of telescopes for different targets. The ultimate small telescope for many targets which require more than a degree or so in field of view may be a camera lens. With a tripod and small tracking mount many deep sky objects are well suited to astrophotography with a camera and lens. Detailed images of solar system objects require long focal lenghts that are best achieved with a telescope. Dedicated astrophotography cameras range from small webcam like video cameras to high performance cameras with cooled sensors to reduce noise. These cameras require a separate computer to control them and capture images. The 4+ pound weight of a laptop and associated batteries and cabling adds to the weight and complexity of these setups. Digital SLR cameras are completely self contained and weighs only about 2 1/2 pounds. With a camera lens as a telescope they are simple, small and light and have the brightness and field of view needed for large deep sky objects. Used with a telescope they can provide good results for solar system objects especially if they provide high resolution video capability. They do have some disadvantages. Features desirable for daylight and sports photography can cause problems at night. Increased weight from the SLR mechanism requires heavier mounts and tripods. Vibrations from mirror slap and mechanical shutters can cause problems. Optical view finders can be difficult to focus. Mirrorless interchangeable lens cameras usually have additional advantages over DSLRs for astrophotography. They can be found with similar size and quality sensors to DSLRs. Weighing about a pound, half the weight of a light weight DSLR, they give sharper pictures with lighter weight tripods and mounts. Tiltable screens, with magnified focusing aids make them much easier to focus than many DSLRs. Digital astrophotography techniques can make small equipment much more useful. Modern sensors are more sensitive and have lower noise than older sensors or film. Image stacking techniques capture more light and reduce noise in the final image. Image deconvolution processing recovers resolution lost to diffraction. 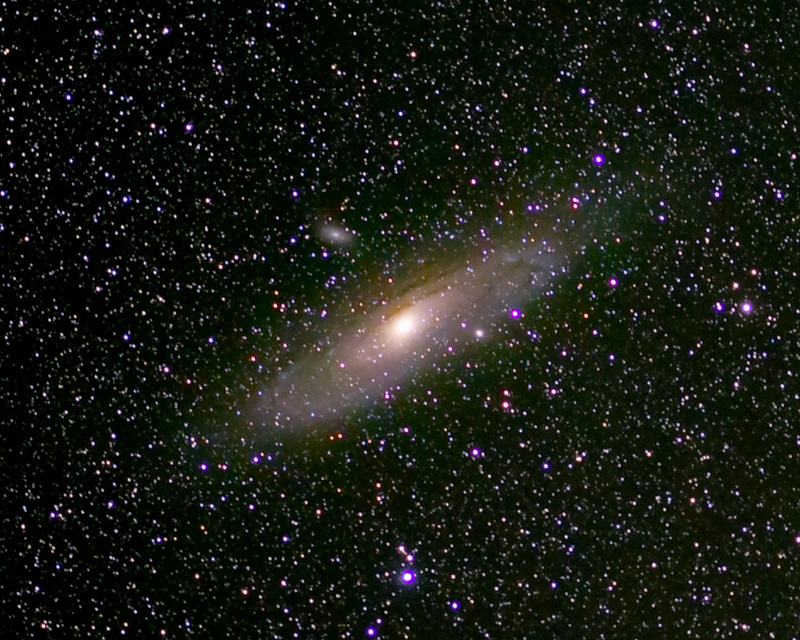 Using new technology sensors and processing techniques, it is possible to take images that once would have required a telescope with twice the aperture to take. 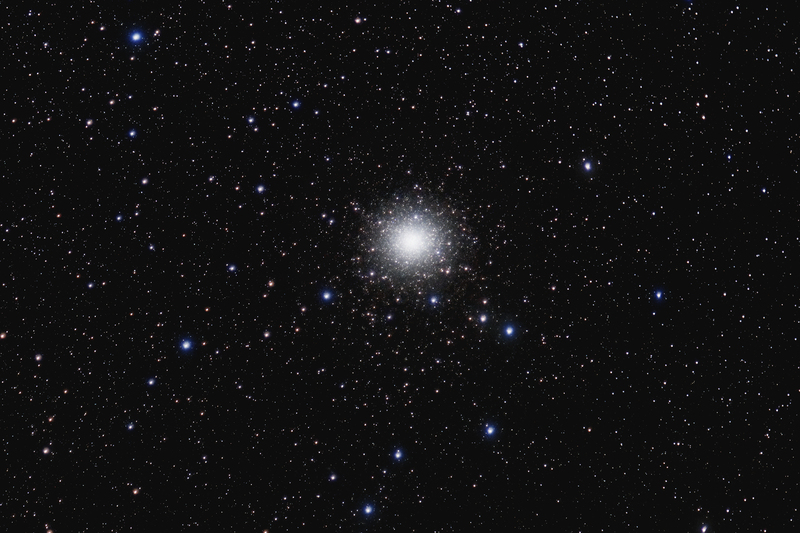 Stacking images gathers additional light for an image just as a larger telescope objective does. By taking a stack of images with a longer exposure time an astrophotographer can gather as much light as with a larger telescope (e.g. 4X more exposure is the same as a 2X larger objective with 4X the weight). Stacks of images have advantages over single long exposures. Transient events like a gust of wind or a passing plane only spoil one short image. Noise is also easier to reduce in a stacked image. These techniques don't help visual observers. With a small telescope, very faint objects will require a large objective telescope to be seen by eye. Dark skies, far from city lights, increase contrast and make dim targets easier to see in a small telescope. If you double the size of your telescope, you can expect the weight to increase by four times. There's a lot to be said for starting out in astrophotography with just a camera and a then adding a small telescope suitable for astrophotography. Spending time using your equipment to take beautiful images is a lot more fun than lugging it around and setting it up. You can compensate for the smaller aperture size by taking more images. Stacking images and processing them to decrease noise and increase resolution can produce beautiful images without a large telescope. You will learn image processing skills that will make the best of image data from any size instrument. 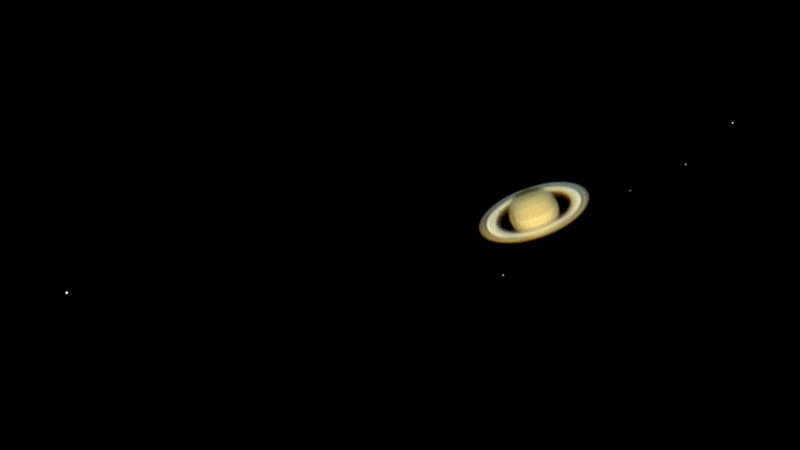 Saturn with Titan, Tethys, Enceladus, Dione, & Rhea 2016-06-09 05:42 UT. At first I thought I had 7 moons ... Questar 3.5" with 2x2x Dakin Barlows and Sony a6300. HDR stack best 259 of 3640 ISO 3200 1/10 sec 4k 30fps HD video, 10 at ISO 12800 for 1 sec. Stacked and deconvolved in Lynkeos, moons in Nebulosity. HDR composite in Photoshop. With some encouragement from Joe Rome I reworked the moons layer for a tighter result.